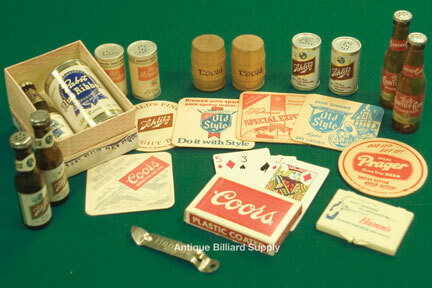 #10-19 Vintage brewery advertising items can provide hours of conversation in the home game room or billiard room. Beverage coasters from long-forgotten brewers and miniature salt and pepper shakers add that final touch to any period setting. Can openers from brewing companies are available as singles or in sets.